Originally published in 1883 by F. A. Battey & Co., this is a 1976 reprint by Unigraphic, Inc. Covers and inside pages are very nice and clean. Has been hardly read. 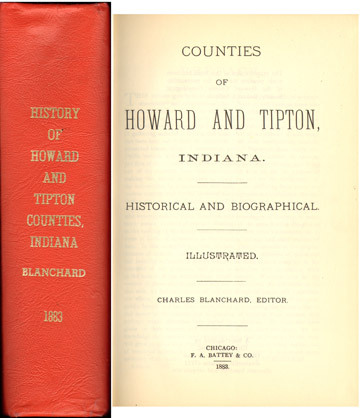 A detailed history of Howard and Tipton County, Indiana. Hardbound, large, 995 pages with index.